Metro will open the west entrance to the Forest Park-DeBaliviere MetroLink Station tomorrow, July 29. Passengers will be able to use the stairs and the elevator on the west side of the station to travel between the MetroLink platform and the Forest Park-DeBaliviere Station’s free Park-Ride lot. 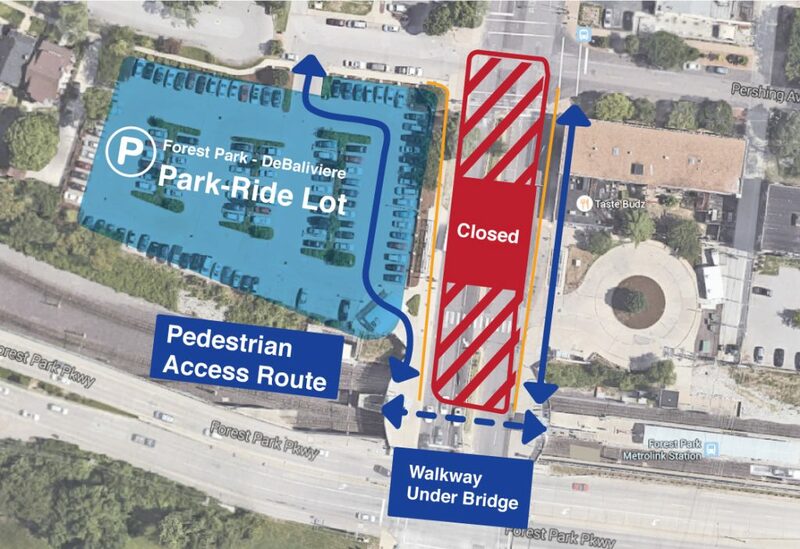 The opening of the west entrance will also provide an option for riders needing to cross DeBaliviere Avenue as progress on the Loop Trolley construction project requires the closure of a crosswalk at Pershing and DeBaliviere Avenues. Passengers can bypass the closed crosswalk and cross DeBaliviere Avenue by traveling underneath the DeBaliviere Bridge using the Forest Park-DeBaliviere Station platform and taking the stairs or elevator on either side of the station.